Dieting, and Weight Loss Malpractice Cases | Legal help for people affected by dental & medical malpractice. When patients are medically obligated to follow plans that involve dietary restrictions, it is of the utmost importance that such patients adhere to the plans they have been provided. If they do not follow the prescribed diet plans, they might experience severe injury. In some cases, deviating from a prescribed diet could result in wrongful death. An example might involve a person with diabetes who is charged with adhering to a low sugar diet but is unwilling or unable to do so. The person might go on to experience severe medical complications. Alternatively, a person might be under obligation to follow a diet with limited sodium or with sodium removed entirely. If he or she does not do so, severe medical consequences might result from his or her noncompliance. In addition, there are a number of kinds of medication that require people to refrain from eating certain foods. For example, people who take drugs that thin their blood such as Coumadin are required to keep away from a long list of foods that are known to reduce the effectiveness of the blood’s coagulating properties. If patients do not comply with these restrictions and eat too many of the foods they are prohibited from eating, their blood may begin to clot too slowly to help them deal with rudimentary cuts and bruises, leading to potential bleeding out and medical emergencies. Finally, before a person undergoes a surgical procedure, he or she will need to abide by a number of dietary restrictions. For example, most surgeons insist upon their patients avoiding food or drink for a predetermined period of time before they undergo a surgical procedure. If patients are not provided these important instructions, serious injuries or even death could result. These severe consequences could also occur if hospitals provide patients with food despite the patient’s obligation to avoid such foods. The risks for errors in dieting may vary substantially depending on the details of the diet plan that was provided to the patient. For example, if a person with diabetes does not comply with a diet plan that he or she is medically required to abide by, the person may experience ketoacedocis, hyperglycemia, kidney problems, or even death. If a person prohibited from consuming more than a small amount of sodium does not comply and consumes excess sodium, the person may experience heart attacks, hypertension or high blood pressure, strokes, or death. If a person is on medications that are known blood thinners but does not adhere to a dietary restriction plan prescribed by his or her doctor, the person may experience strokes, uncontrollable bleeding, or death. There is a duty of care that hospitals or other medical facilities in which a patient is being treated owes a patient. This duty of care also exists between the treating physician and the patient, as well as any support staff. If this duty of care is breached through a failure on the part of the hospital or physician, medical malpractice may occur. 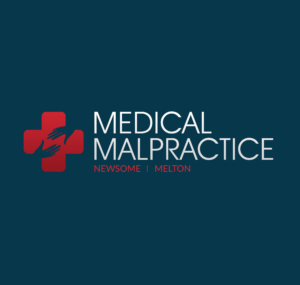 Those who feel they have suffered injuries as a result of medical negligence or malpractice are encouraged to discuss their claim with an experienced malpractice attorney. If the claim is deemed valid, such an attorney can help their clients file their claim properly and timely, as well as secure the proper documentation and expert testimony needed. Millions of people opt for elective cosmetic surgery to lose fat, lift sagging skin, or to remove excess skin after the loss of weight from a successful dieting plan. These procedures can be invasive, and need to be performed by a licensed professional. Even then, accidents can occur and new malpractice cases can be opened.